I've already provided a good background to the various foods eaten in Jamaica on my main food page. In that, I provided some history, - highlighting the genesis of our foods, as well as shared some of our favourite dishes. Here, I will attempt to provide you with a more categorized list so you can have a better, clearer appreciation of our taste patterns. 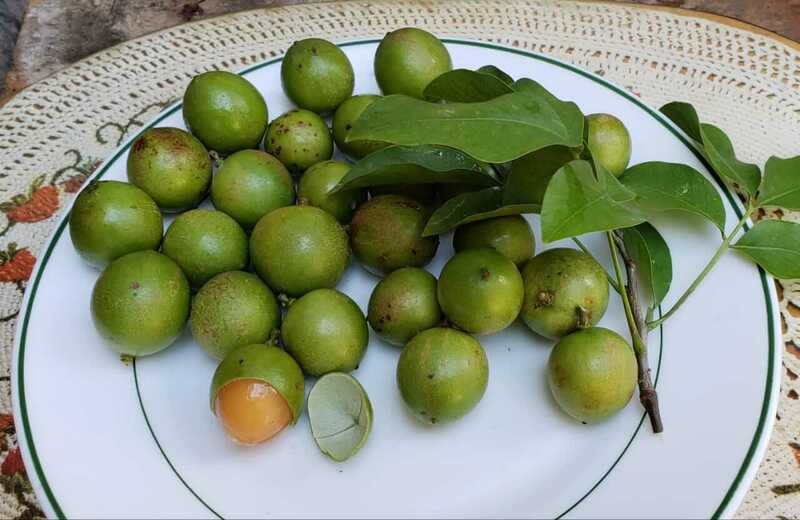 Many of these by the way, may not be offered in or at typical tourist joints, although you are quite likely to see them as a part of certain Jamaica food preparations. A knowledgeable local guide might be able to find some of 'unsuals' for you though. 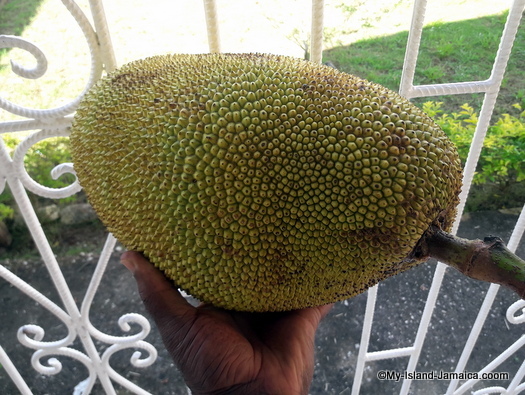 Jamaican Jackfruit - Thanks Opal For This! 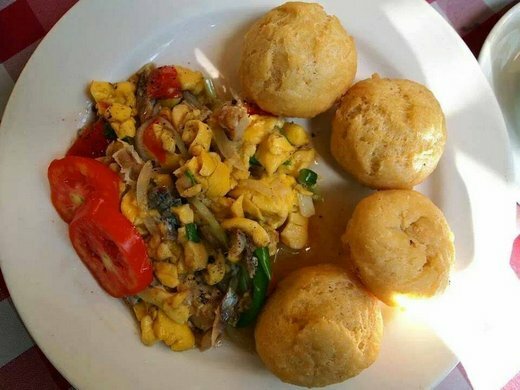 I've put together some beautiful pictures of Jamaican food here, take a peek when you can. These, you'll appreciate forms the raw materials for hundreds and perhaps thousands of tasty and delicious Jamaican drinks, dessert and pastry for breakfast lunch and dinner. I can give you a few hints and say that rice and flour forms the staple of our household. The use of spices such as the pimento, scotch bonnet peppers, cinnamon, thyme, garlic etc, are key seasonings in our preparations. Perhaps the most traditional Jamaican drinks are the Carrot and Soursop juices. For those, and some of the most popular recipes and preparations, please see the main Jamaican food page.